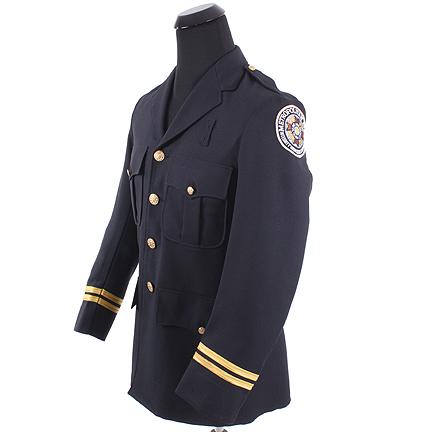 This Police Jacket was worn by an unidentified background character from the film “Police Academy 5: Assignment: Miami Beach”. 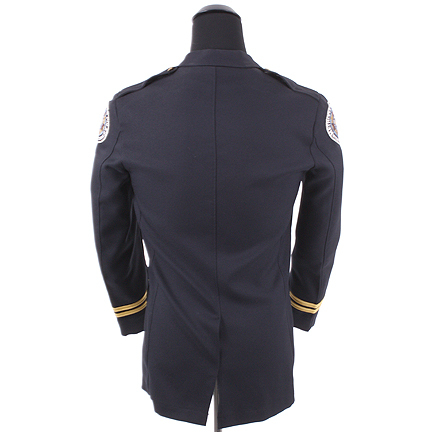 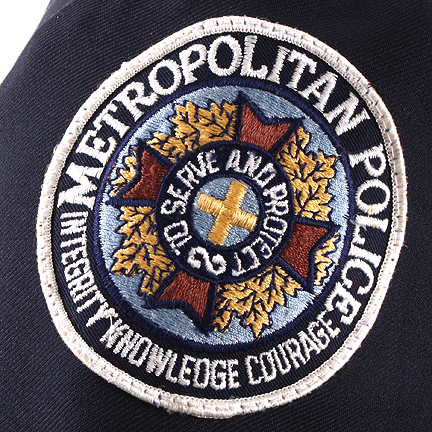 The navy blue jacket has gold metal buttons, each adorned with a “P” emblem, two gold banded stripes on each sleeve, as well as a patch on each shoulder, “Metropolitan Police: Integrity, Knowledge, Courage; To Serve and Protect.” The interior of the garment has multiple tags, including an unidentified name “Vargas”, a factory “Crafted with Pride in USA” tag and a “Warner Bros” label. 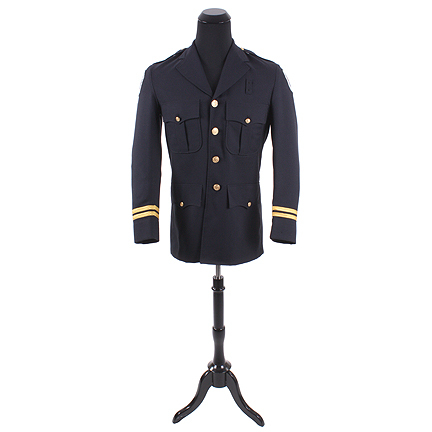 This costume can be seen during the opening and closing graduation ceremonies from the film. 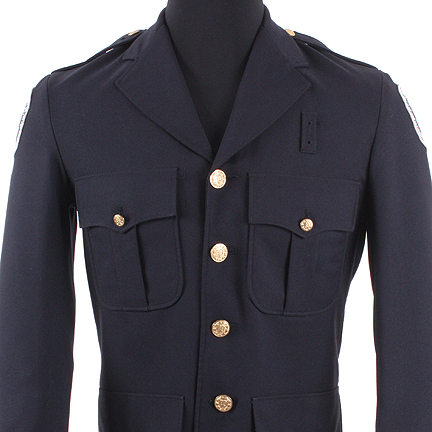 Several officers and Police Academy Band members wear this outfit, and they can be seen with gold cuffs on each sleeve. 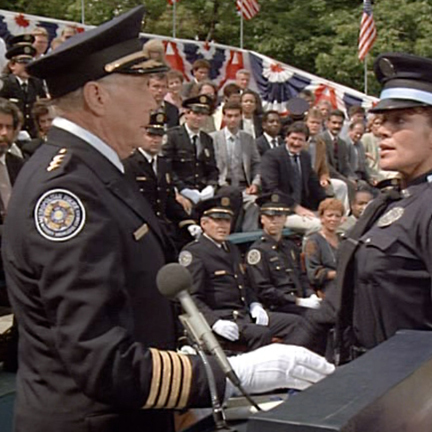 This was the fifth film in the highly popular and entertaining “Police Academy” series, which included a total of seven films. 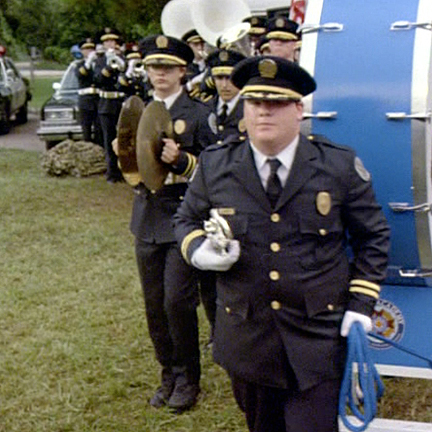 This particular film follows the Police Academy “regulars” as Commandant Lassard heads to Miami to receive an award. 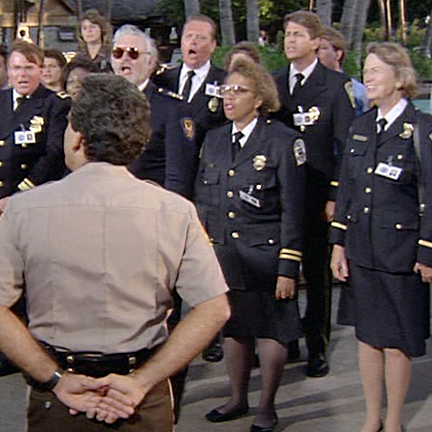 Lassard’s baggage is accidentally switched with stolen diamonds, and the criminals who made the accidental switch consequently kidnap him. 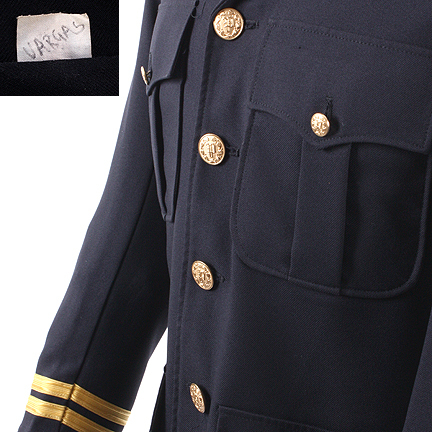 The garment is in good vintage condition and is accompanied by a letter of authenticity from the costume house.